Beyond supporting local farms, your community, and the environment in an interactive, personable way, the freshness of your produce will certainly taste better as well as maintain additional nutrition benefits. When certain foods are in harvest, this means they grow without the help of added chemicals and are not sitting around waiting to be distributed. Finding out what foods are at their peak is easy and all farmers at the market are very open to talk about what they have available currently, and what they project within the coming months. The nutrient profile of your local produce is actually improved as well. 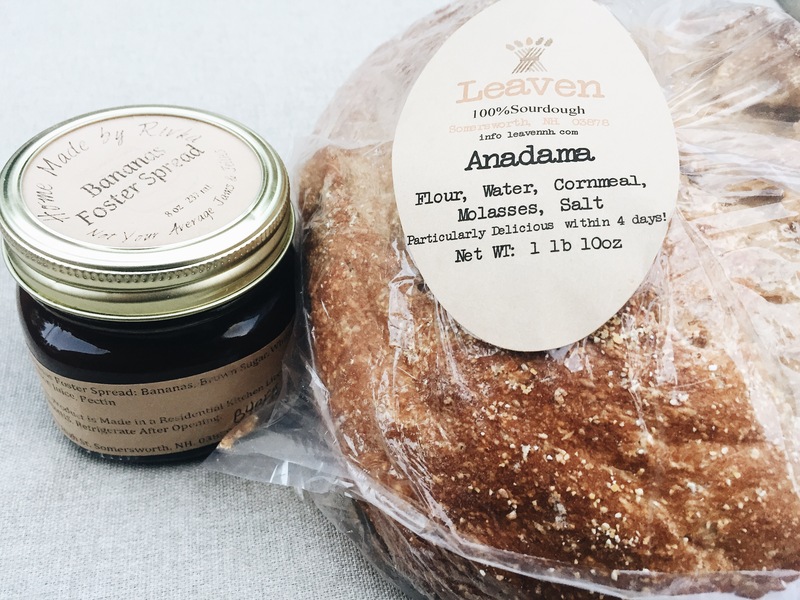 Since this food is traveling shorter distances than your typical store-bought food and is transported personally, there is less need for preservatives and less time between being harvested and being sold. This shortened chain of distribution means less nutrient deterioration, a.k.a more vitamins and minerals for you! When produce is harvested, it can often deplete nutrients from the soil when grown in surplus, such as the food packaged in the grocery store. Local farmers have better methods of replacing the soil’s nutrients since they grow on a smaller scale, thus more nutrient-absorption by the products your consuming. Plus the options at farmer’s market often will increase the variety of produce you are choosing such as typically opting for options like chard, micro-greens, or radishes, opposed to the generic iceberg lettuce or pre-packaged baby carrots. Another way to get your nutrient-dense, local produce without the trip to the farmer’s market is through CSA. CSA stands for Community Supported Agriculture and allows you to essentially purchase a “share” in the farm of your choice, which means weekly you get a box of fresh produce. It is a great way to ensure you are getting your dose of local food while forming a relationship with a local farmer. Stop by Nourish for information about purchasing a CSA from Applecrest Farm Orchards, which is based out of Hampton Falls. On my trip to the Exeter farmer’s market on Thursday, I learned a lot about what is currently in season and what will be in season come July. Greens are best right now before the weather gets too hot, so I grabbed some micro-greens, arugula, and kale, as well as my own basil plant, radishes, and some asparagus. 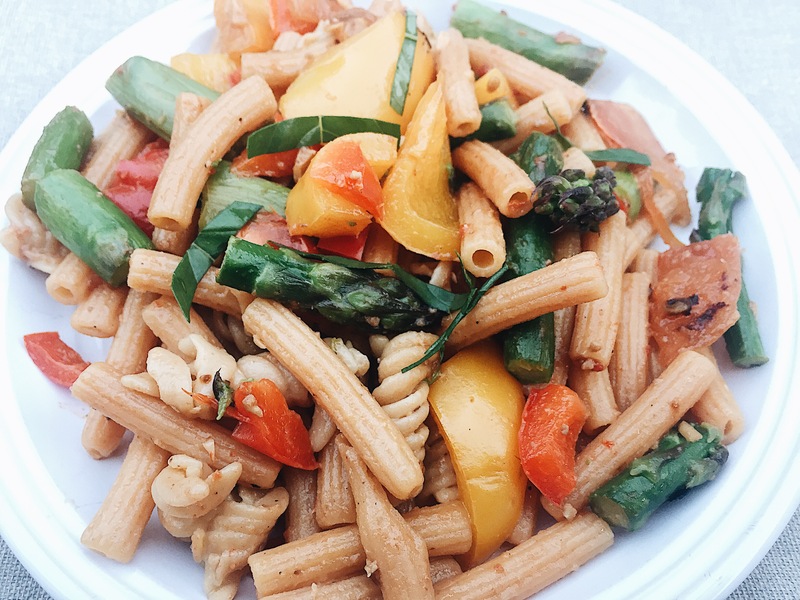 Two summer recipes I made with the goods I picked up included Farmer’s Veggie Red Lentil Pasta and a Micro-green Peach salad. Cook pasta according to package. Combine bell peppers, garlic, and olive oil in a skillet until fully cooked. Remove and replace with the tomatoes diced for 5 minutes. Add chopped basil to the tomatoes and let simmer, then remove and add to peppers and garlic. Finally, add asparagus to skillet until fully cooked. Combine all vegetables and pasta. Optional: Add your choice of cheese such as Parmesan, goat cheese, or mozzarella. 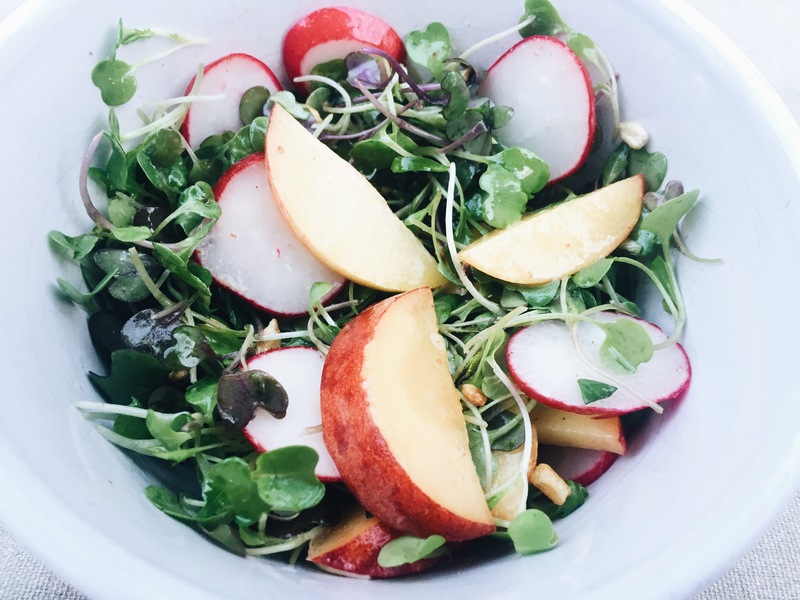 Combined micro-greens, sliced radishes, and sliced peaches. Sprinkle sunflower seeds. For the dressing, combine olive oil and your choice of vinegar (wine, balsamic, or cider) with cracked black pepper and sea salt. Optional: Addition of avocado slices! Information on your local farmer’s markets in Dover, Durham, Exeter, and Portsmouth can be located at www.seacoastgrowers.org!